Chicago legislators urged the Chicago Police Department last week to consider using a device capable of detecting if motorists have been texting in cases that involve injury-related traffic accidents. Law enforcement officials would use the technology to scan a driver’s cellphone to determine if it was used to receive or send text messages during or just prior to a collision. Legislators in New York and Tennessee are already considering using the “Textalyzer,” a device similar to a Breathalyzer, which can provide police with a mechanism to evaluate cellphone use at accident sites. Cellebrite, an Israeli technology firm, is developing a way for authorities to detect device usage, while maintaining the privacy of data stored on the device. Cellebrite’s technology won’t disclose conversations, contacts, numbers, photos, and application data to law enforcement officials. “Cellebrite has been leading the adoption of field mobile forensics solutions by law enforcement for years, culminating in the formal introduction of our UFED FIELD series product line a year ago,” said Jim Grady, CEO of Cellebrite, in a press release about a year ago. If the bill passes, a driver who doesn’t hand over their cellphones when prompted by police could lead to suspension of the driver’s license, the same penalty as refusing to take a Breathalyzer. 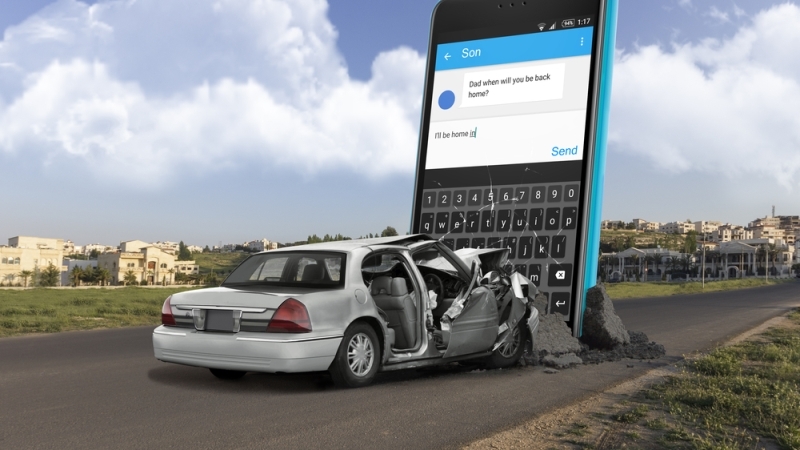 Texting while driving has been illegal in Chicago since 2008. When New York City began considering the use of Textalyzers, last year, the Electronic Frontier Foundation, TechNet, the State Privacy and Security Coalition, and the New York chapter of the American Civil Liberties Union issued a statement about the privacy concerns surrounding the technology. According to the National Highway Traffic Safety Administration, driving while texting is six times more dangerous than driving while intoxicated. Despite this, 67 percent of drivers still use their phones behind the wheel, according to the AAA Foundation for Traffic Safety.